BEIJING (Reuters) -- Ford Motor Co. intends to raise its 30 percent stake in Jiangling Motors Corp., a major Chinese light commercial vehicle maker, a source said today, as the Detroit automaker speeds expansion in the world's largest auto market. "Joe Hinrichs expressed an interest to increase Ford's stake in Jiangling when meeting with the governor of Jiangxi province earlier this week," a source with direct knowledge of the matter told Reuters. Hinrichs is president of Ford's Asia and Africa operations. He also assumed the role as chairman and chief executive of Ford's China operations in November. A provincial government official in Jiangxi, home base of Jiangling Motors, confirmed Hinrichs and governor Wu Xinxiong's meeting on Dec 13. 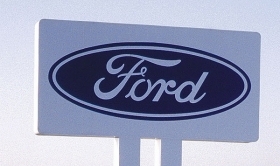 It is unclear whether Ford and Jiangling Motors have reached agreement on raising Ford's stake in the Chinese company. Ford China declined to comment. Jiangling Motor executives could not immediately be reached for comment. A higher stake in Jiangling, which now makes up nearly a third of Ford's China sales, will give the U.S. automaker more voting power on Jiangling's board and help it make further inroads in China's fast-growing light commercial vehicle segment, industry observers say. In the first 11 months, Jiangling Motors' sales jumped 59.5 percent to 164,088 units, according to company data. Jiangling Motors currently operates two plants, with combined capacity of 210,000 units, that build JMC and Ford's Transit models. In July, the partners broke ground on a $300 million vehicle plant, capable of producing up to 300,000 units annually. The facility is scheduled to start operation at the end of 2012. Ford also runs a three-way car venture with Chongqing Changan Automobile Co. and Mazda Motor Co.
Last month, Ford cut its stake in Mazda to 3.5 percent from 11 percent, saying the reduction would allow it to "increase flexibility" as it continues to pursue growth in key emerging markets. The No.2 U.S. automaker did not elaborate, but sources said at the time it was looking to reduce its Mazda stake to gain more flexibility for its business in the heavily regulated Chinese market. Earlier, Ford and its car venture partners submitted a proposal to the Chinese government to split the three-way tie into two separate entities, sources had said. Ford is a relative late-comer to China, where GM and Volkswagen AG have built up a lead. But it has been accelerating its expansion plans by building its third China car plant with Chongqing Changan and Mazda, and adding 100 dealers, mostly in inland cities that are replacing big coastal areas as the major industry growth driver. In the first 11 months, Ford and its partners sold 525,100 vehicles in China, up 39 percent from a year earlier, outperforming a 34.1 percent gain of the overall China market.